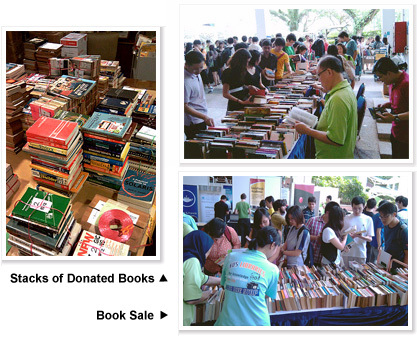 Back by popular demand, the fund-raising book sale was held over two days to coincide with this year’s E-Resource Discovery Day (ERDD). The book donation drive began in July and ended in early September. All proceeds from the sale will be channeled to the needy students through the NUS Students’ Fund (NUSSF). We are delighted to announce that we raised $6,030 from the two-day sale for the NUSSF. This was possible only because of the strong support from NUS Staff and Students. To all who contributed to the event by donating or purchasing these books, here’s a heartfelt thank you from us! 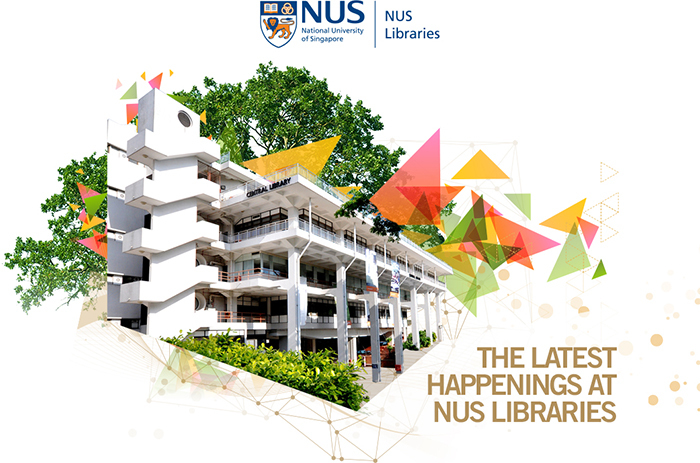 The E-Resource Discovery Day committee would also like to thank all NUS Libraries staff and NUSSF volunteers who made the event possible. Join us on a photo journey of the book donation drive & sale below! 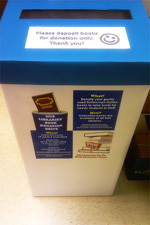 You were greeted by these blue and white donation boxes at the entrances of all NUS Libraries from July to September, while the posters were seen around NUS, in your e-mails, our tweets, and on NUS Facebook!We would like to thank OED for allowing us the use of their paper-recycling boxes for our event! don’t worry, these boxes will be reused for other purposes now that the event is over. Donated books were priced and sorted into the various categories by librarians. Here are mountains of books eagerly awaiting their new owners! We trust you found books that suited your needs and interests. The many happy faces seem to suggest so! The books were priced from $1 onwards, snapped up like hotcakes, and even sold by the boxes!